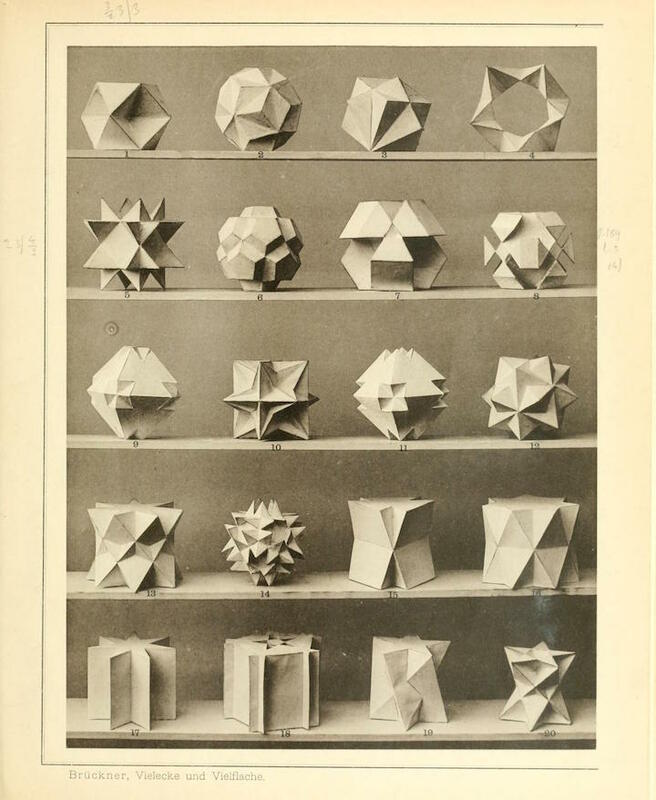 A polyhedron is a solid, three-dimensional form shaped from multiple and multi-sided faces that are joined along their straight edges or at their sharp corners. Cubes or pyramids are two of the most basic examples of these often-complex geometric shapes. 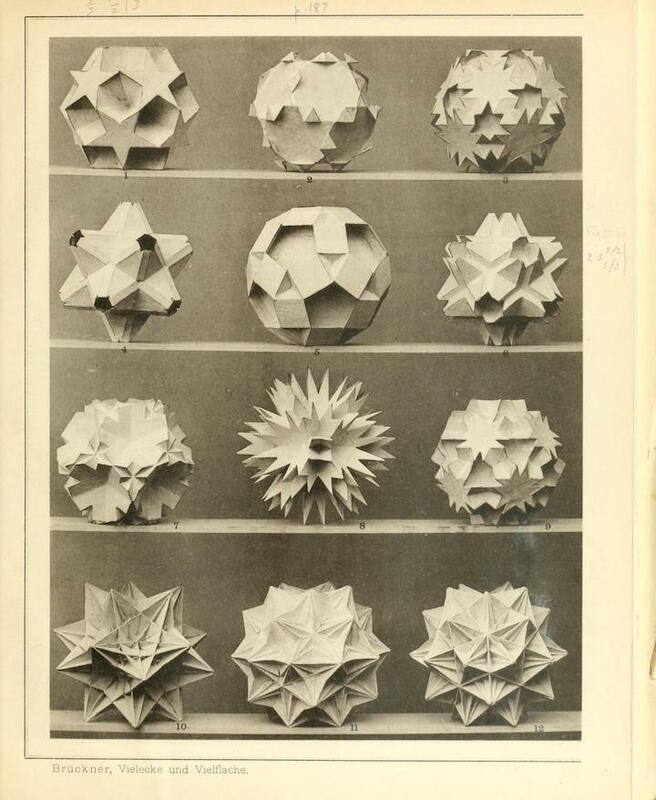 Polyhedra were studied in ancient Greece by Plato, Aristotle, and Archimedes; in third-century China by mathematician Liu Hui; by 17th-century mathematician and astronomer Johannes Kepler and the 19th-century French mathematician/physicist Louis Poinsot, known as the inventor of geometrical mechanics. 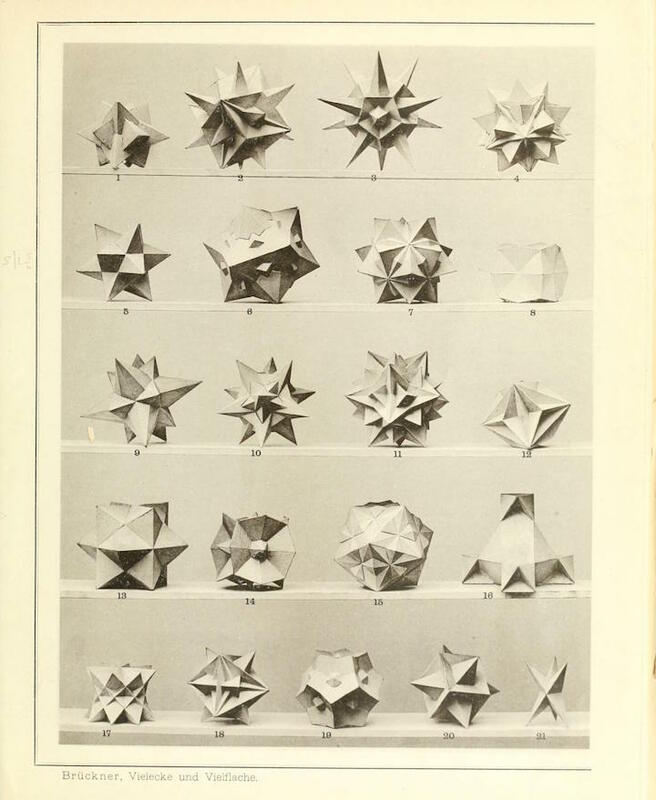 The form and potential complexity of polyhedral have fascinated artists ranging from Leonardo DaVinci to M. C. Escher. 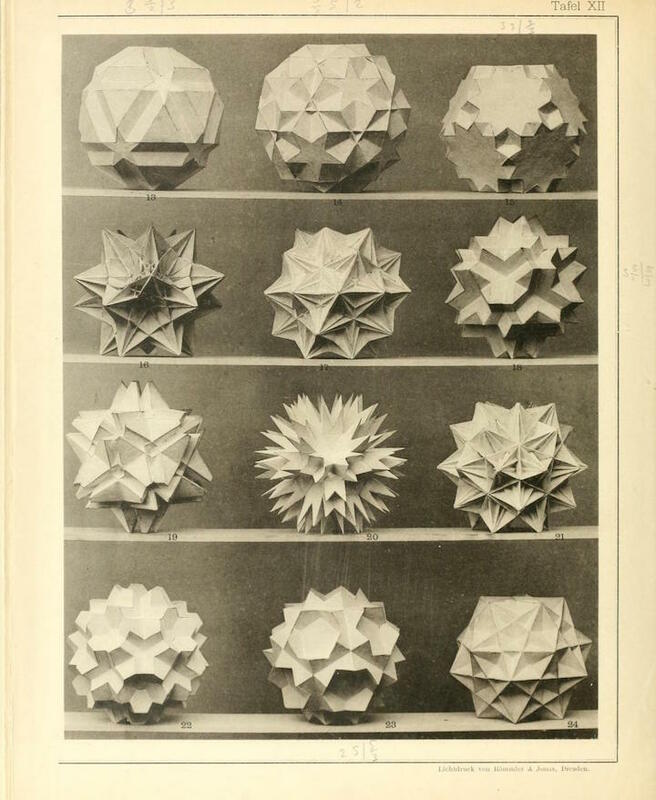 These photographs reproduce some of the pages from Vielecke und Vielflache: Theorie und Geschichte (Polygons and Polyhedra: Theory and History), which was published in 1900. 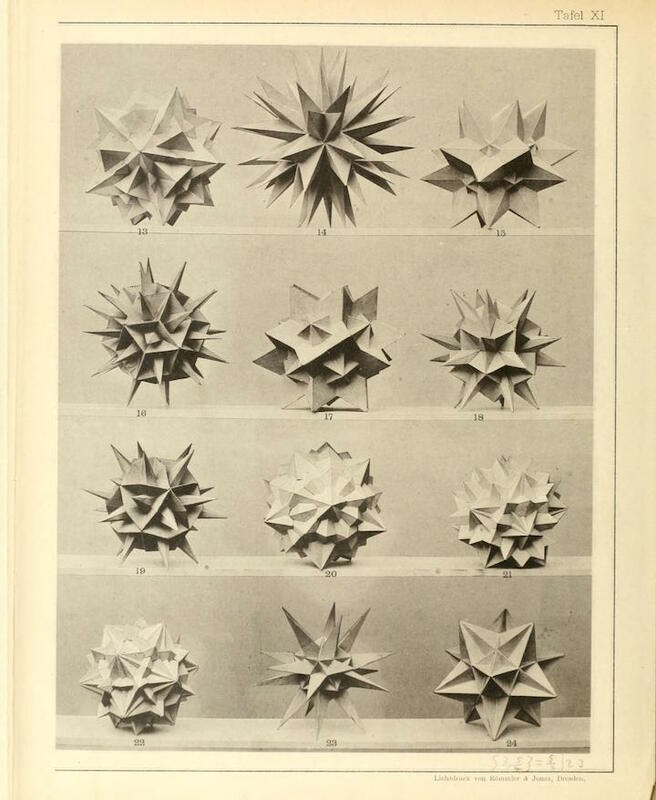 An encyclopedic endeavor, the book illustrated elegant models made by Johannes Max Brückner (1860-1934), a German geometer, and summarized current knowledge of polyhedral shapes at that point in time.